Quite predictably once again (and she can do so again if they don’t watch out) she defied their naive predictions. 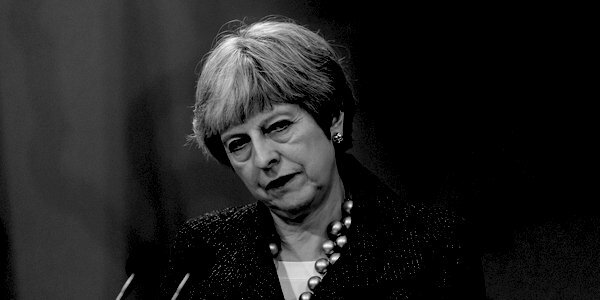 As her Cabinet continued to put self-interest before principle (despite her contempt for them) and the 1922 Committee failed to persuade Mrs May that she is the problem, not the solution – leaving her free to beg the EU to decide what punishment is sufficient to allow us not to leave – even the best of the media succumbed to pessimistic resignation. His colleague Asa Bennett decided that Brexit is a black hole from which neither Britain nor the EU can escape. Elsewhere Nick Ferrari, the host of the morning LBC show, tweeted that he had given up on Brexit and we might as well now remain. Another Telegraph writer, Charlotte Gill, tweeted that it was hard not to share this sentiment. If Ferrari or any other commentators think that either accepting Mrs May’s Brexit capitulation to whatever punishing terms the EU demands for us not to leave or revoking Article 50 will allow us to ‘move on to other things’ and pretend Brexit never happened, their brains need checking. How has it come to this – that today every material decision on Brexit and the UK’s future will be in the EU27’s gift? Answers on one side paper. Martin Howe QC has one clear answer they could listen to. He explained more than two weeks ago that Theresa May has abandoned constitutional precedent and that whatever she has done since has been of her own volition, not, as she so speciously argues, because she has been forced to. ‘The progress of the Cooper-Letwin Bill illustrates a further aspect of the Prime Minister’s conduct, which is to claim that she is being forced by others to do things which she wants to do anyway‘, he wrote. A forensic public denunciation of her conduct from Chequers onwards (or even before) on these lines and the plight it has brought the UK to, backed by a large body of her MPS and party, is the one thing that would shoot us right back out of that black hole and could change the script overnight. Extraordinarily, however, the Parliamentary Party have yet to get Kim May’s ‘terminator, machiavellian’ measure. Yesterday’s report that ‘Theresa May could see it as her duty to stay on as Prime Minister for another year if she cannot get her deal through’ should send chills down their spines. Yet the 1922 Committee persists in plodding away on a scheme that would ‘let her stand down by May 23, resigning as leader but staying on as Prime Minister’. What do they mean by ‘let her’? If the far-too-gentlemanly Iain Duncan Smith thinks urging Mrs May to step down in time for a successor to be elected by the autumn is anywise tough enough, he needs to think again too. An effective mutiny needs a powerful leader and he ain’t it. Boris is the best we have if he could get out from behind nanny’s (Jacob Rees-Mogg’s) skirts. If there was a time for an ‘I come to bury Caesar not to praise him’ speech in reverse, it is now. The European Council’s offer to the UK of an extension until 31 October with a review in June, assuming the necessary Statutory Instrument passes in the House of Commons, grants the Conservatives another chance to replace their leader instead of more delays and eternal May. Or Tory and DUP MPs could vote it and her down and we would exit the EU tomorrow! We at TCW continue to count the days till the delusional ones like Kwasi Kwarteng MP who seem to think it can go on like this, realise it cannot. Today is Day Seven . . .